The families of people killed on board Malaysia Airlines MH17 are expected to learn more about what caused the crash that killed all 298 on board, as Dutch authorities prepare to release their final report on the disaster. 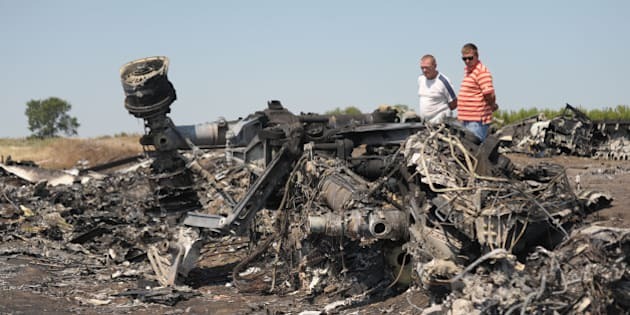 The Dutch Safety Board (DSB) will hand down its report on Tuesday night and unveil reconstructed parts of the cockpit and business class sections of the aircraft, which was downed in Eastern Ukraine in July 2014. The Boeing 777 was en route to Kuala Lumpur from Amsterdam when it was shot down near where Ukrainian forces were fighting Russian backed rebels. In all 298 people died, including 193 Dutch citizens and 41 Australian citizens and residents. Among the Australians killed were a teacher, a Catholic nun, a real estate agent, doctors, a businessman and his three young grandchildren. The Dutch Safety Board report will focus on main four themes, including the causes of the crash and the issue of flying over conflict areas. The report will also canvass the reasons why Dutch surviving relatives had to wait for up to four days for Dutch authorities to confirm their loved ones had been on the plane. Lastly the report will consider to what extent the occupants of flight MH17 consciously experienced the crash. However the Dutch investigation is not concerned with question of blame or liability, which is being handled by a separate criminal investigation, DSB said in a statement. Both the West and Ukraine have laid the blame on Russian-backed rebels, while Russia has blamed the Ukraine. On Monday a Russian government official said the Dutch investigators had not been co-operating with Russian experts. "A series of facts (about the shooting down) that were presented by Russia seem have not been taken into consideration - for reasons that we do not understand," said Dmitry Peskov, a spokesman for President Vladimir Putin. The Russian manufacture of the BUK ground-to-air missile system is expected to release its own report October 13. A separate Dutch-led criminal investigation is still going on, and its findings are expected to be published in several months' time. The Victorian Coroners Court is expected to hold a brief inquest for the Victorian victims, possibly in December 2015.